Unit 34A-Lot 64; TOT ID# 1641. The smell of cypress and sea spray, surround sound of waves crashing, transfixing views of waves breaking on Walk On Beach...Sea Haven is a perfect Get Away. Architect Steve Brodie and Designer Linda Brodie have crafted a gem that perfectly frames the drama and serenity outside with an understated and elegant use of interior space. 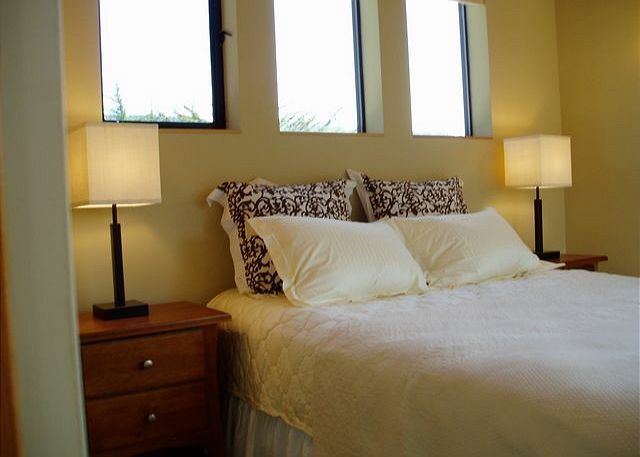 Two master bedroom suites allow privacy for 1 or 2 couples, each with work space (if you must). 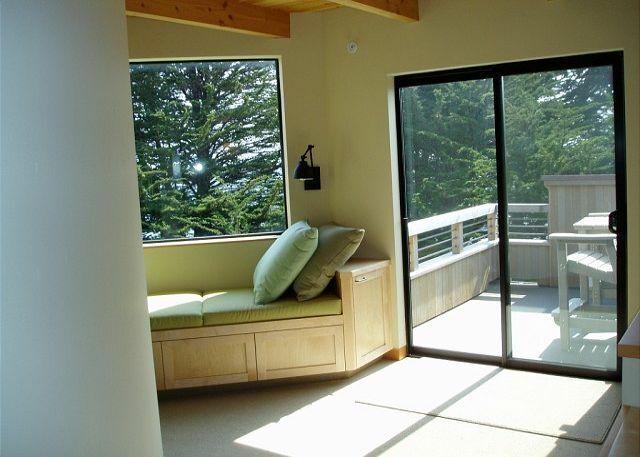 Enjoy quiet time to watch for whales (or sunset), read a book or take a nap at the stairwell window seat, or land upstairs and just watch the water roll on to the beach. The house features include an open living space with concrete floors and radiant heat; sunken living room with vaulted beamed ceiling, fireplace and built-in sofa; the fully equipped kitchen is 2 steps above with copper and slate counter tops, enjoying a commanding, panoramic view from Walk On Beach to the south, to the cliff top cypress and ocean a few steps away. Dining room? You'll want to get up early to drink your coffee and watch the sun rise through the mist on the ridge and light up the waves on the beach. The view goes miles and miles down the coast. Through the patio doors in the dining room you can gather on the deck, open the slider door in the fence to watch the floor show, soak up sun in the private courtyard, or relax in the hot tub. Living room doors open to the wind protected ocean deck, perfect any time of day, especially with wine at sunset. Second floor deck with captain's chairs is nestled into a protected pocket that enjoys the spectacular south coast view of Walk On Beach and beyond. Bathrooms include walk-in slate showers with water and cypress views and concrete counter tops, downstairs bath with 16' sky lit ceiling. Guests at Sea Haven will enjoy free wireless internet, free national long distance, environmentally sensitive home care products , and in-home recycling service. 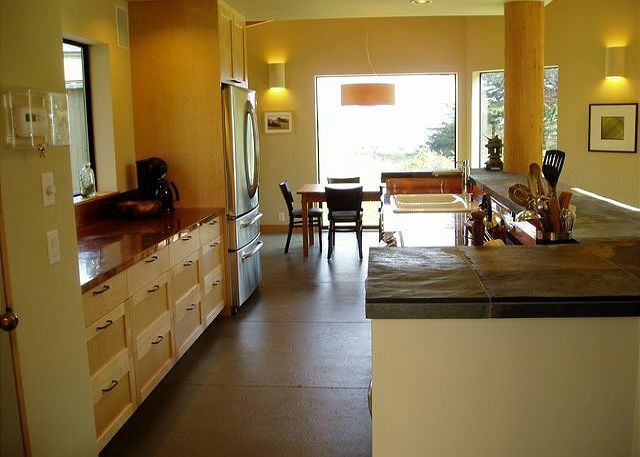 Due to the close proximity to the ocean bluffs, homeowner suggests guests age 12 and older occupy this home rental. Bed linens and towels are not included with this rental. This was our third stay. The views are stunning, the home layout is ideal for two couples. The kitchen is fully equipped and gorgeous and we love hearing the ocean as we drift off to sleep. Our pictures taken in the home are very impressive. We missed having Kleenex and laundry soap to wash the kitchen napkins and towels this visit... but maybe we are misremembering that these were provided 2 years ago. Otherwise, can't wait to come back!! 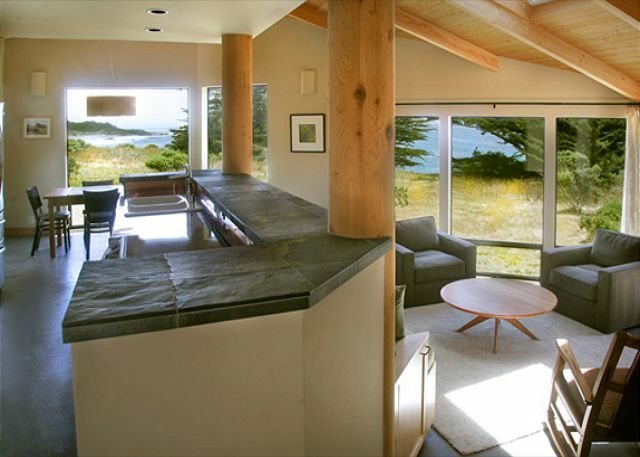 Wonderfully appointed Sea Ranch house with great unimpeded views of the ocean and waves crashing on rocks. Kitchen is well-stocked, and except for the beds, which need to be replaced, the furnishings are tasteful, modern and comfortable. 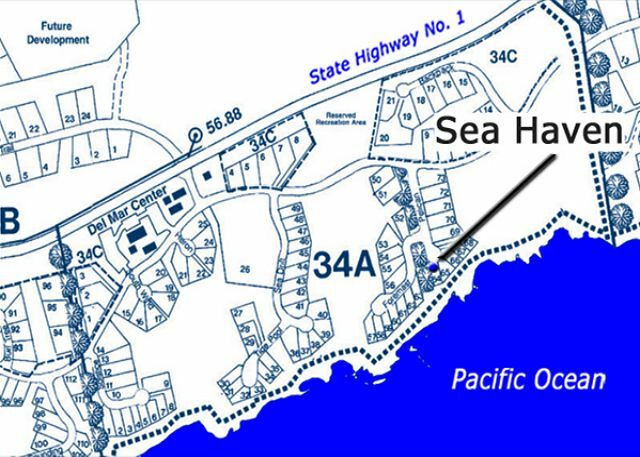 Although close to neighboring houses, Sea Haven is situated so that you are unaware of the neighbors. We are eager to return! Gorgeous views and well appointed home in every way. All would have been perfect had the beds been more comfortable... the mattresses need replacing desperately so unfortunately in such a serene and peaceful setting we weren’t able to sleep well! Great find in Sea Ranch! 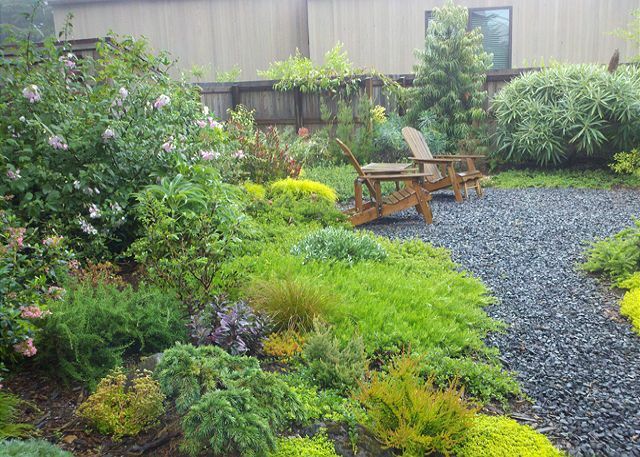 We have been staying in Sea Ranch rental properties since the 1990's, and love choosing a different home occasionally just to see what each has to offer. This property is going to be one that we will return to! 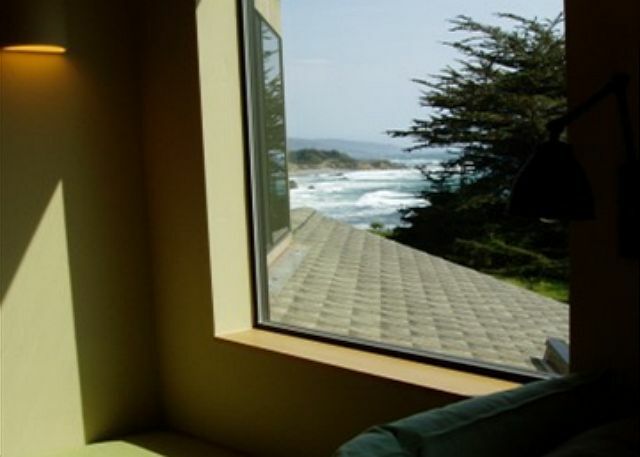 !Beautiful ocean view, the house is very comfortable with everything you may need for a wonderful stay. Was spotlessly clean. Lovely outside courtyard with flowering bushes, table and chairs for dining. Beds and seating were very comfortable, nice inside decor. Easy to use electronics (for us tech challenged older adults!) Really a delightful place to stay! Great house. Love the south coastal view. 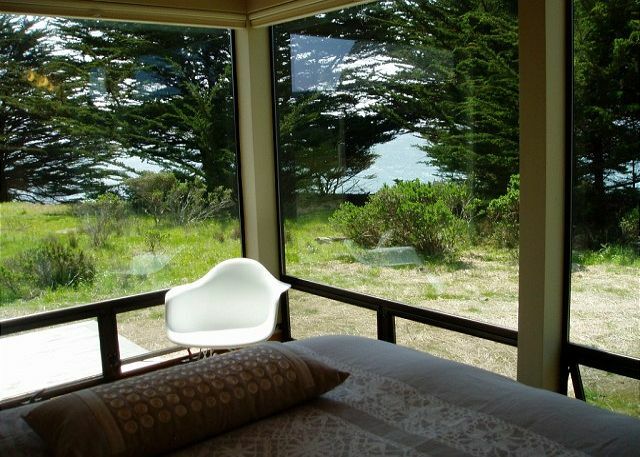 My husband and I hv stayed at Sea Ranch guest homes often over the years. But this was my husband's 60th so the getaway was even more significant. Sea Haven was by far our favorite, and most restful. The views were spectacular throughout the house. The crashing waves just steps from our door. The Milky Way shimmered in the night sky, like I've never recalled seeing before. The furnishings were tasteful, understated and elegant. The modern kitchen was one I'd envy for my own home. 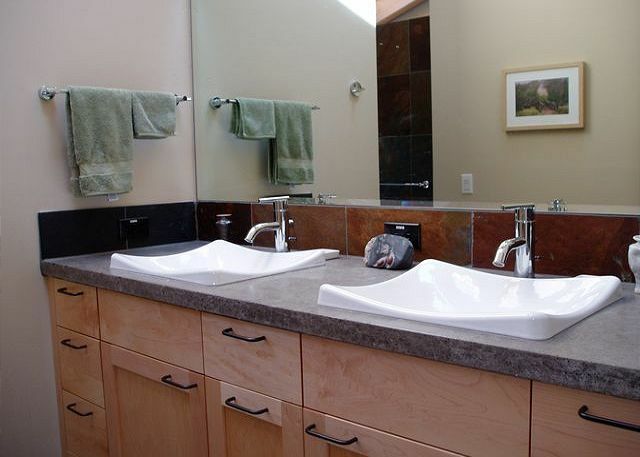 The 2 bathrooms were a perfect reflection of the raw natural beauty outside. 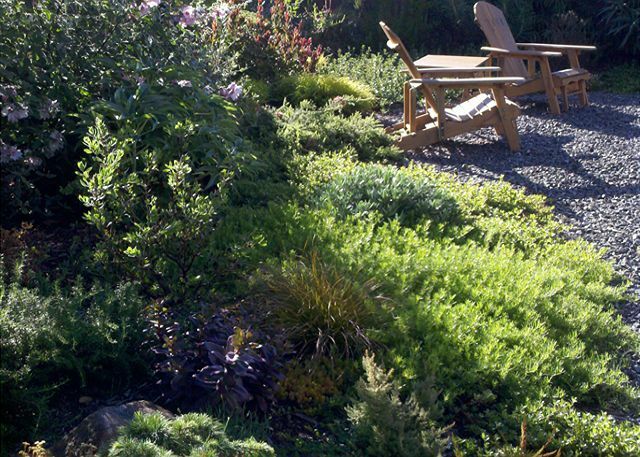 The garden in back, a quiet shady retreat. We were there in early Oct and the weather was perfect and sunny. We were even lucky enough to see a few whale spouts from the upper deck. A last note -- when an earlier reservation thru literally "went south" 24 hrs before our arrival, Kathy at Beach Rentals rescued our holiday. Sea Haven was 100xs nicer than what we'd originally booked. Things happen for a reason, I guess. Sea Haven was truly a magical place, we hope to return again. Great location at Sea Ranch. Right on the bluff. Modern kitchen. Wish there was a king bed instead of queen. Everything else was fine. This house was a perfect retreat. Ocean views from almost every window, easy flow to the well appointed house, hot tub with excellent star-viewing, right next to the bluff trail and minutes from several beaches. My favorite place was the upstairs deck looking out at the white waters crashing on the beach. 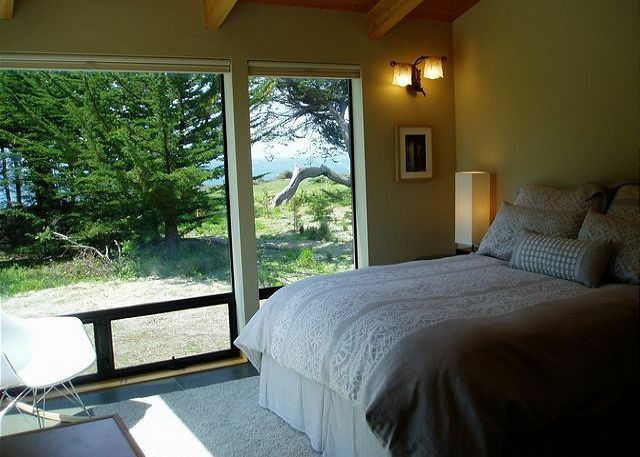 I love Sea Ranch and this was a wonderful home to enjoy a peaceful restful rejuvenating retreat. Fantastic stay. Outstanding views. Will be returning. We love staying at Sea Haven! It was our second time at this rental and so relaxing. Wonderful house in an amazing location. My only complaints were the soft mattress and the useless dishwasher. We had a wonderful time at Sea Haven. It was the week-end of the super moon, and, since the property is right on the bluffs, it felt like we were in the ocean. Lovely house, great site, very enjoyable week-end. Sea Haven - absolutely the BEST! 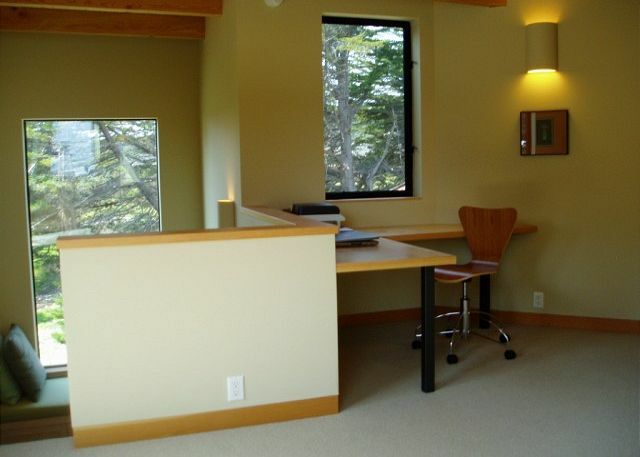 A beautiful, comfortable, well stocked home in the best Sea Ranch location! The views are spectacular from various spots within and outside of the house and the bluff trail is steps from the door. This is our second stay at Sea Haven, and we will definitely come back again. Our all time favorite amongst dozens we've stayed in over 25 years.This little home puts it all together:spectacular location, tidy, contemporary SR architecture, beautifully detailed interior design and construction,great kitchen,and lovely personal touches. It's just right and we will be back. A lovely spot on the cliffs with the sound of the waves lulling to sleep and waking in the morning. Totally well appointed. One of the best birthdays I've had in 60 years. This home is profoundly 'legible'. Yes it is beautiful and it catalyzes an ongoing conversation with the ocean, the sky, the cypress, the grasses, the wind. Inside spaces manage to provide both privacy and communal comfort. Top marks all around. We had a wonderful getaway vacation and a wonderful place to have a getaway vacation in. Beautiful location; beautiful house; great weather. This was our first trip to Sea Ranch. Sea Haven is a lovely place to hang out, relax, read, cook, reflect, stargaze, and as a base for walking the bluffs, going to the beach, hiking in the forest. Loved the garden, cozy window nooks, kitchen, and views. Great place to slow down and spend good time together. Staff in the property management office are very helpful and friendly. Would love to return. Great weather, home and views. Always good to spend some time @ Sea Ranch. We will be back soon. Perfect getaway. Loved this beautiful house. This house was wonderful ! Great layout - AWESOME. views ! We saw whales several times each day. Great walking trails too! Excellent white water view house. Great rental. One of the better rentals we have stayed in over many years of renting. 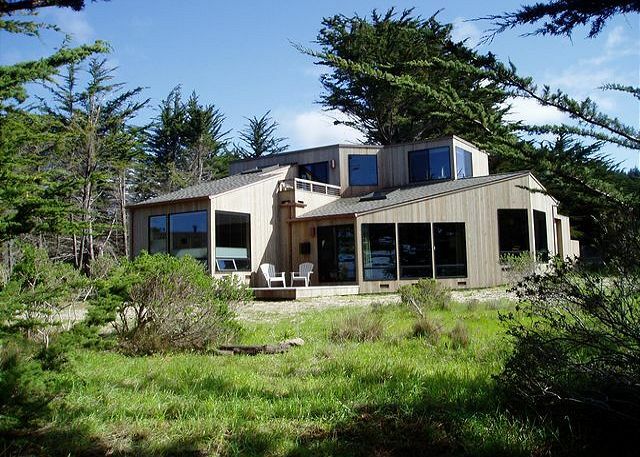 Sea Haven - Our favorite Sea Ranch home! This lovely home has everything we could want. 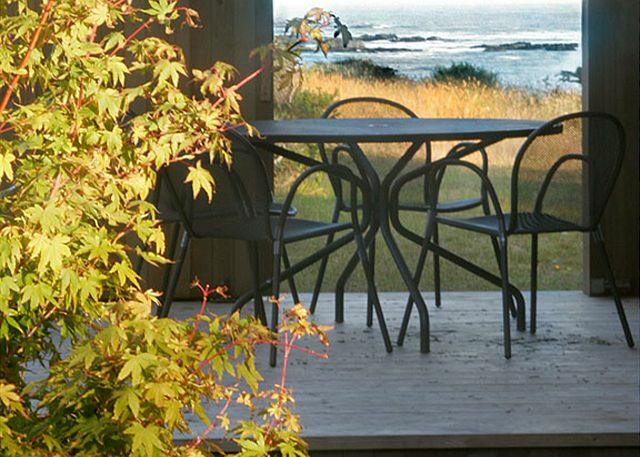 The location and views were the best of any Sea Ranch home we've ever rented. The house itself is immaculate, beautiful, and well thought out. There are several options for outdoor areas to enjoy, the peaceful garden for relaxing or outdoor dining, the private upstairs deck with amazing views. The kitchen was well stocked and had all new appliances. We will definitely be back to Sea Haven for another magical week as soon as we can! A lovely home with amazing white water views. 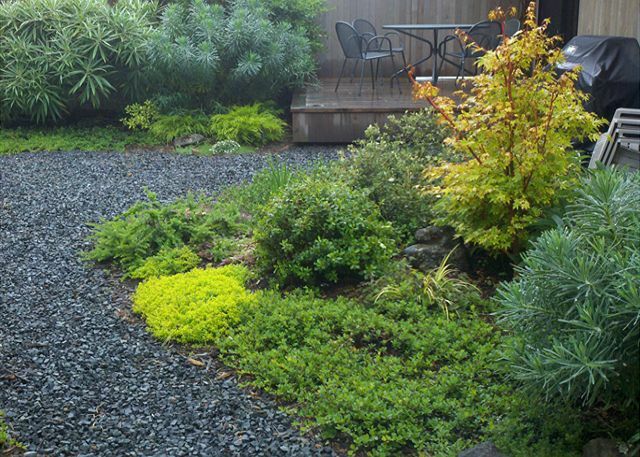 Absolutely beautiful enclosed garden/patio area.Nice artist touches throughout. Cooking in the kitchen was a real pleasure,as no matter which direction you were facing, there was something beautiful to look at! 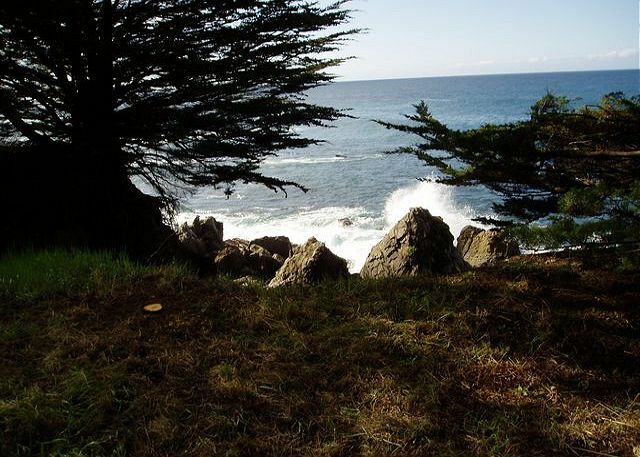 This is the fifth year we have returned to Sea Ranch - unparalleled beauty on the California coast. We have stayed at Sea Haven a few times, and always enjoy the peaceful beauty of the place - like heaven. The house if perfect for 2-4 people. One very small point if you like to grill - the bbq is old and definitely needs replacing. We enjoy hiking, and if you go, you should check out the new Point Arena Stornetta national monument - mile of gorgeous hiking and beaches. the upstairs bedroom--wake up in the middle of the night, go out to the balcony and look at the Milky Way! Raccoons will be there on the roof to join you. Peaceful, cozy retreat! Wonderful views in every part of the home. Truly enjoyed our stay..we will be back. I rented Sea Haven for my son and daughter-in-law and their family. 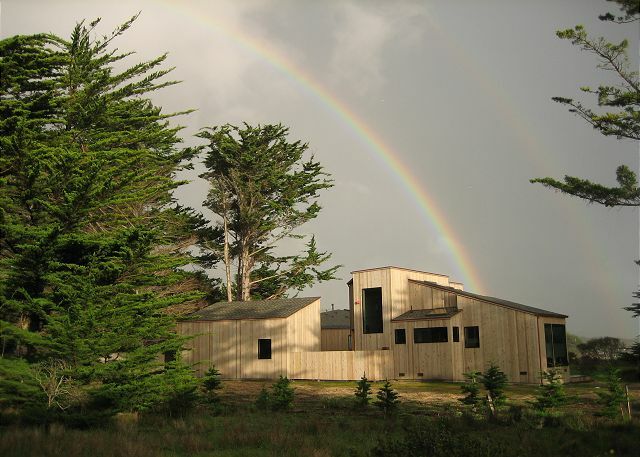 I could not imagine a better place for them to be for a couple of days at The Sea Ranch. Views from the house are spectacular, and the house itself very comfortable and well-designed. Relatively short walks to beaches and pool. Great house for two couples. 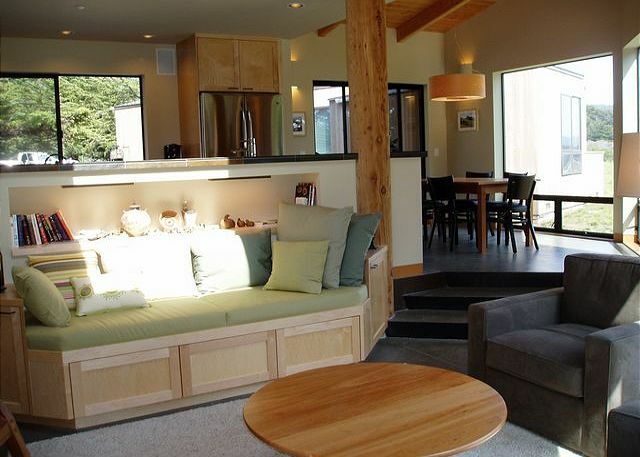 Skylights and window seats add so much to this house. Amazing view. this house was everything that it was advertised for. it was a peaceful retreat. we could hear the sound of the ocean as it was right outside our door.the house was well maintained. there were walking paths right in front of the house you could also get down to the beach. we will be returning to this house again for sure. great location. comfortable house. exactly what I was looking for. The house is right on the trail, so easy access for walks, and the view was super. Unlike some of the rental homes we've stayed in, the appliances (GE) were very new and extremely quiet. HD TV and High Speed internet was also better than most of the other houses we've rented. May be the Best yet ! 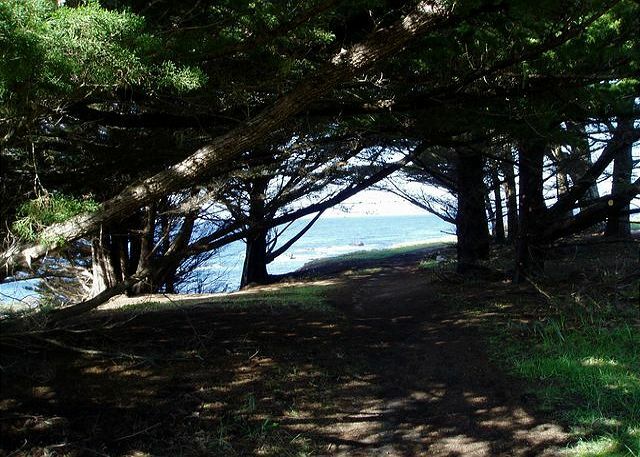 …been coming to The Sea Ranch for many years…Forest, Hillside, Meadow, Bluff houses,some very expensive and many not so. Sea Haven is "just right" ! Design, details, size, location and furnishings, fun and super high quality. We'll be back ! Clean, well-appointed, comfortable, with every amenity. Beautiful views. We will definitely be back! We had a wonderful time at Sea Haven. The layout, amenities and location were much better than expected. This is great for 2 people or 2 couples. The gardens and deck layouts provided great views and good opportunities for photos. The location sits right on the bluff and due to trees and angle feels isolated. The owners have provided extra amenities to make it feel like home. The management company was fabulous. They were ready for us and made check in/out very easy. They were very helpful in providing information about where to go and what to see. The quote was accurate and there were no hidden surprises. We enjoyed the quietness for peaceful morning bike rides on the roads and trails within Sea Ranch. The no bikes on the Bluff Trail does not really restrict riding bikes since there are many other places to ride. We will definitely use this management company again and are planning to stay at Sea Haven. Sea Haven was just perfect! Views were spectacular, house was well-appointed. Excellent kitchen supplies for those of you who like to cook. Highly recommended! Best Sea Ranch Vacation Ever!!! We've stayed at a lot of houses at Sea Ranch, and all of them were wonderful. This one, though, is really special. It is situated right on the cliff's edge. I actually had to close my windows some nights, as the surf was too loud! The architect thoughtfully designed all the rooms to afford great views. Even the kitchen window, out to the beautiful little garden, is memorable. Speaking of the garden, we loved eating out there and we enjoyed using the barbecue. There were three of us (my sister, my mom, and me.) My sister brought an inflatable bed and set it up on the second floor landing, right outside the bedroom on that floor. That worked for us; she was very comfortable. You should know that the bedrooms are too small to set up a second bed. This is the first time we've used this rental agency, and they were great. The house was spotless, and we loved that we did not have the option of cleaning ourselves on departure. We were able to enjoy every minute of the last day of our fabulous week without feeling guilty. We had a fabulous time. We spent the whole time wishing we didn't have to leave. We just spent our 2nd Christmas at Sea Haven, and it was the best present we could have given each other. The home is beautiful, nicely appointed and in a great location. Wonderful house to spend a holiday!! Enjoyed everything about it. Lots of nooks and crannies and gorgeous views from everywhere in the house. Only problem.......not long enough!!! Sea Haven lives up to its name! Absolutely lovely property with great views. Very nicely decorated in a non-fussy manner. Well stocked and modern kitchen. Bluff trail is at your door step. We are discriminating travelers and could not recommend this property more! This place has a lot of nooks and crannies for alone time. Very enjoyable architecture! We liked that the bedrooms each had their own privacy due their location in the home. 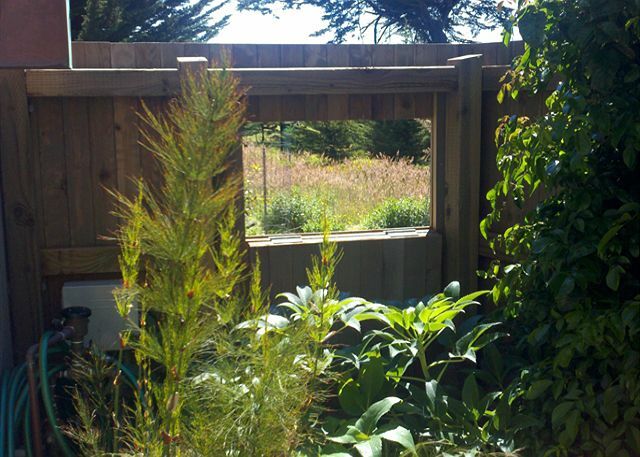 We loved that we could open the side back fence door to see the ocean or keep it closed for privacy. We would definitely rent the home again. Incredible location, house was absolutely lovely, outside garden! 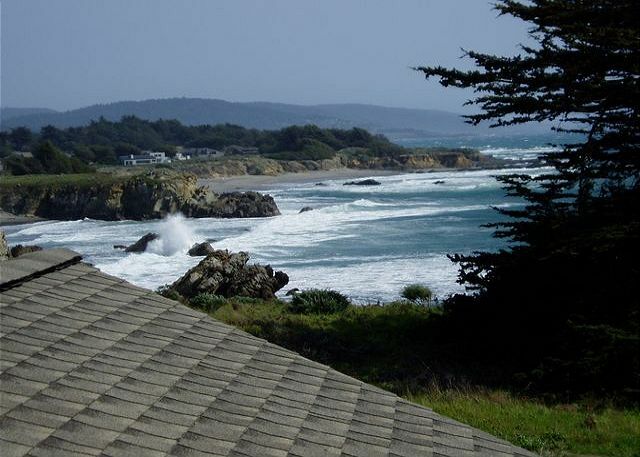 We have stayed at Sea Ranch for over 23 years! The Ranch and all it's special appreciation for all life plus the fabulous houses designed so that each guest learns to value that specialness, captured our love and respect as the original visionaries perhaps hoped others would come to love! when it says for 4 people it means it. the bedrooms are well lit but small. so everyone is pretty much in the main living room/dining room area during waking hours. there was only 1 mostly empty propane tank so that blew our plans to bbq on 2nd nite but other than that it was spectacular. the back garden is a jewel. and right on the trail...good think...just be dressed when lounging! My suggested name change says it all. Perfect for 2 couples with its 2 master suites. We couldn't have imagined anything better. 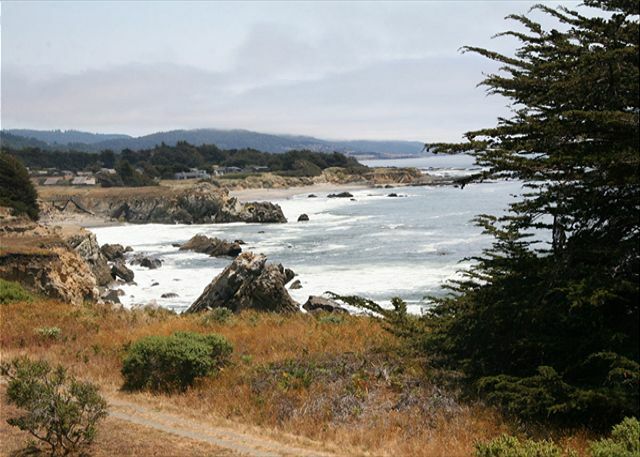 I've been renting Sea Ranch homes for 35 years. This is the best of them all. Well furnished. Nicely appointed. Right on the ocean. Quiet dead end street. Loved it. Bravo to the owners of this lovely home. The interior design, comfortable furniture, garden hide-a-way all speak to their attention to detail, and made the experience unforgettable. Sea Haven was just like it's name. We had a great spot to watch the sunset, the Blue Herons, the ocean, and take relaxing walks along the trails. Great location, beautifully maintained home. All the amenities you could imagine. Loved it! We loved everything about this home. The location was perfect, close to walk-on beach and nestled along a hedgerow offering privacy but with gorgeous views. The home was well appointed and comfortable. Everything we needed in the kitchen for preparing thanksgiving dinner. Note for those with kids: One of the window seats is long enough to sleep on if your two kids can't (or won't) share a bed. It can't get any better,beautiful surroundings inside and out! We had a wonderful stay at Sea Ranch. 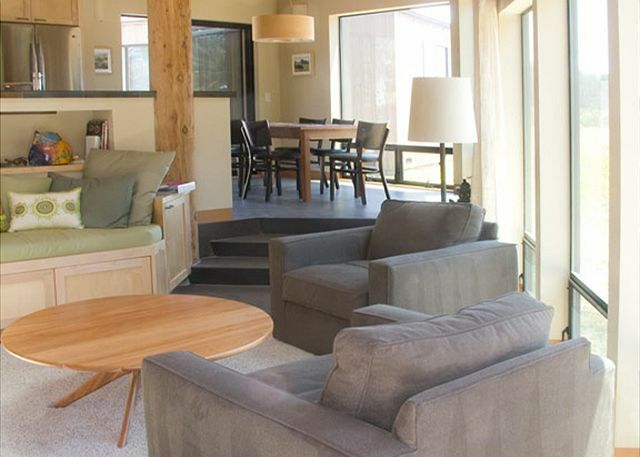 We have been renting at Sea Ranch for years and this is one of the best. Thank you! This is definately a great spot - the location is fantatsic right on the edge of the bluff - the only thing separating the house from the water is the coastal trail - hard to beat the views from the house! I also liked that the house located at the Northern end of Sea Ranch, s the drive into Gualala is super quick and easy - all in all - highly recommend this house. one of the best vacation rentals we have ever stayed in. Vacation location of a lifetime. This type of opportunity only comes around once in a while. The property, home, view and ammenities were superb. The only reason I could not give a full "5" on cleanliness was because several pots/pans were not well washed prior to our use...but seriously a full "5" on every last detail of everything else! We enjoyed ourselves tremendously (even with stormy weather in June). You just can't go wrong. Wonderful House and smooth and accomodating rental procedure. My favorite Sea Ranch rental to date. Very nice, relaxing stay. Enjoyed the property, surrounding beach/coast and wildlife. our chosen property had a problem when we arrived to pick up the key, but we were given two upgrades to choose from; the one we chose was wonderful. Had a great stay. I would almost hesitate to let everyone know about this gem. The house is new, the location is superb, and I want to make sure that I will be able to rent it again and again.